Since I'm on an anti-losyang campaign, I'd like to share how NuEssence’s dietary supplements have helped my health keep up with my on-the-go schedules. 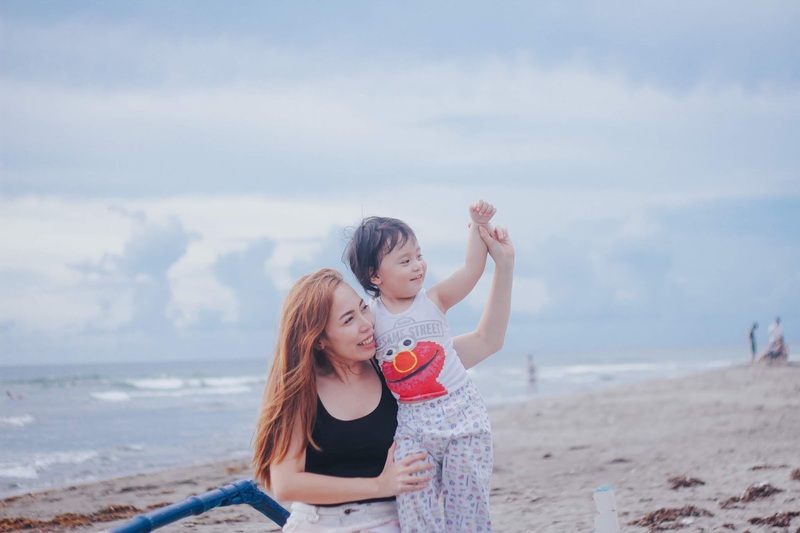 Whether you're a SAHM or WAHM, you must always remember to take care of yourself too, because you're not getting any younger, besh! It's life— we age from the moment we're born and it will happen to all of us. Growing old to the extent that you see it as a painful process that can play some cruel jokes on your mind and body. As we age, the texture and appearance of our skin changes. Ya know, signs of skin aging like wrinkles, fine lines, dryness, uneven tone and dull, tired-looking skin. It can kick up a lot of worries, doubts, insecurities and fear, because Father Time, in fact, moves really fast. And really, can you blame him? 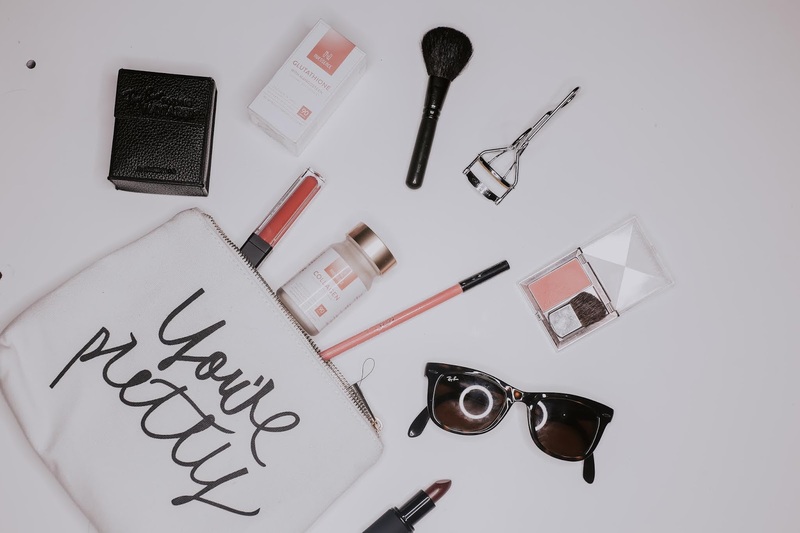 Thankfully, you can cross those off your list of worries because there are countless anti-aging products on the market promising to make skin look and feel younger. However, it's hard to find "the one" with a lasting solution for concealing the stress of the daily grind. Girls who don't have time or can't afford to get regular facials and diamond peels and other expensive beauty treatments but want to keep their skin in tip-top shape. I wanted to share my joy and discovery of a new product that allow a woman’s health and beauty to shine through. Recently, I discovered a new brand of dietary supplements called NuEssence. It’s 100% Made in Japan, which comes in two variants; Collagen Dietary Supplement and NuEssence Glutathione with Mangosteen. Both are available in 30 and 90 tabs. 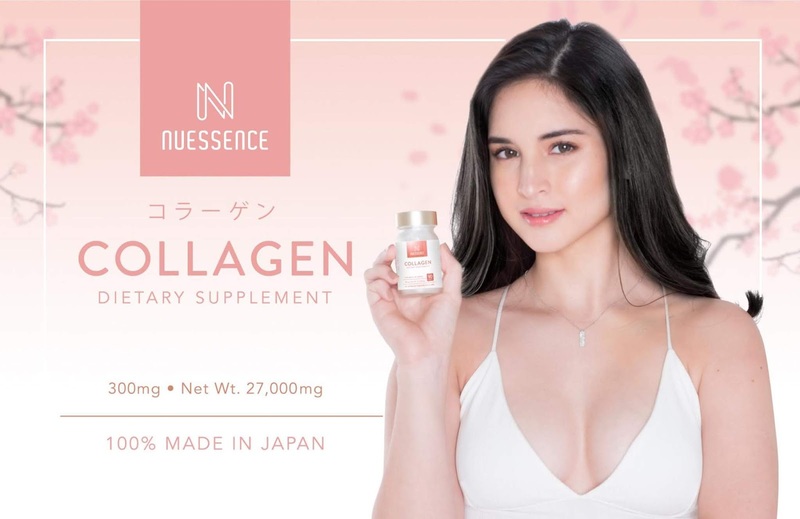 Claims: NuEssence Collagen slows down the process of aging, prevents wrinkles and lines for younger and smooth skin, helps skin moisturized and glowing. It can help improve skin elasticity and moisture. Improve protein intake for better muscle growth. Claims: An excellent antioxidant, whitening and anti-aging qualities. Its ingredients are best known to reduce risks of inflammation and chronic diseases. Ingredients: maltose syrup, hithion , extract (yeast extract /glutathione), saccharide islomerate ( cornstarch) L-Cysteine, crystalline cellulose, calcium stearate, silk peptide, mangosteen , silica , ceramides. These dietary supplements became a part of my daily routine and after a few weeks, I noticed that my skin has improved. I have dry skin and it absolutely helps in maintaining the moisture retention ability of my skin. It helps me stay as healthy, fresh and young, even at my busiest days with my uber kulit kids! It's super sulit too! One bottle lasts nearly a whole month or two, and costs a fraction of what you’d pay for other expensive beauty treatments and anti-aging products out there. By taking this daily, you will slowly feel your skin to be brighter and look healthier. Well, it is not going to magically eliminate all your doubts and insecurities, but knowing that it works and this is the ANTI-LOSYANG, ANTI-HAGGARD, beauty secret used and endorsed by the beautiful Coleen Garcia, means it's REALLY worth a try. 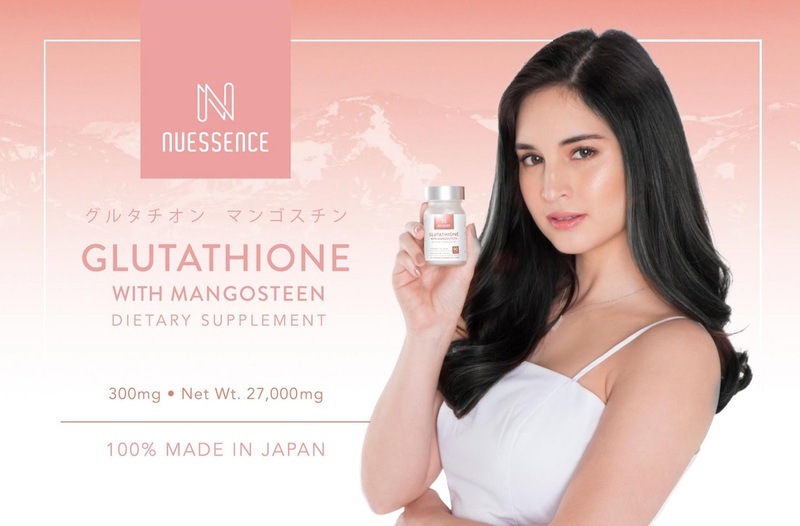 NuEssence is now available on www.lazada.com.ph and all Watsons Stores nationwide! Coming soon on Beauty MNL and Mercury Drug stores. To know more about these products, go to NuEssencePH on Facebook at https://www.facebook.com/nuessenceph/, and follow them on Instagram at @nuessenceph. Have you ever tried taking dietary supplements? Let me know in the comments.